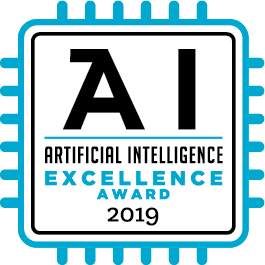 PHILADELPHIA, March 12, 2019 — Trax, the leading provider of computer vision and analytics solutions for the retail industry, has been named a winner of the Artificial Intelligence Excellence Awards program. The Business Intelligence Group recognised Trax as a leader in AI excellence, alongside big names like Capgemini, for innovative use of the emerging technology in retail. Based in Singapore, Trax has revolutionized the global retail industry by delivering a single source of shelf truth for Consumer Packaged Goods (CPG) companies and retailers. Its offering provides in-store execution, market measurement and analytics services for CPG brands and retailers by harnessing its cutting-edge computer vision platform – which uses AI, image recognition and data analytics – to process photos taken in store to deliver near real-time, granular shelf and store-level insights. Trax’ retail solutions offer CPGs and retailers – including Coca-Cola, AB InBev and Diageo among others – the opportunity to benefit from never-before-accessible insights from the shelf. Using Trax insights, clients can better understand how their products are performing in the market and make informed commercial decisions to drive top line growth. Trax is the leading provider of computer vision solutions and analytics for retail. It recently was selected as a Red Herring Top 100 Global and ranked in the top 25 Fastest Growing Companies on Deloitte’s Technology Fast 500 list. The company enables tighter execution controls in-store and provides clients with the ability to leverage competitive insights through its in-store execution tools, market measurement services and data science to unlock revenue opportunities at all points of sale. Many of the world’s top brands and retailers leverage Trax globally in more than 50 countries to manage in-store execution and increase revenues at the shelf. Trax is headquartered in Singapore with offices worldwide. To learn more about Trax, please visit www.traxretail.com. The Business Intelligence Group was founded with the mission of recognizing true talent and superior performance in the business world. Unlike other industry award programs, these programs are judged by business executives having experience and knowledge. The organization’s proprietary and unique scoring system selectively measures performance across multiple business domains and then rewards those companies whose achievements stand above those of their peers. www.bintelligence.com.